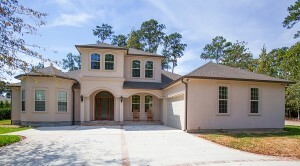 Each Velvet Pines home is built to strict standards, which meet or exceed both local and national building codes. Your home will have a construction superintendent who is responsible for overseeing all workers and ensuring the final product meets all expectations. The team concentrates on a logical, step-by-step process. There is a natural flow to the work. We won’t start something until the previous phase comes to full completion. The process is methodical, but moves along briskly, aimed at getting your home move-in ready as soon as possible. Pre-construction: During the pre-construction meeting, you are invited to sit down with us to do a final review of your Dream Home package. Together, we’ll verify the placement of the house, review the blue prints, and find out what to expect during the building process. Once permits are cleared, and financing is approved construction can begin. By having a general understanding of the construction process, you’ll know what to look forward to during the exciting weeks ahead. From signing the Purchase Contract, the time frame to the start of construction is normally 15 to 30 days, and is subject to variables, including local government approvals, utility availability and construction backlogs. 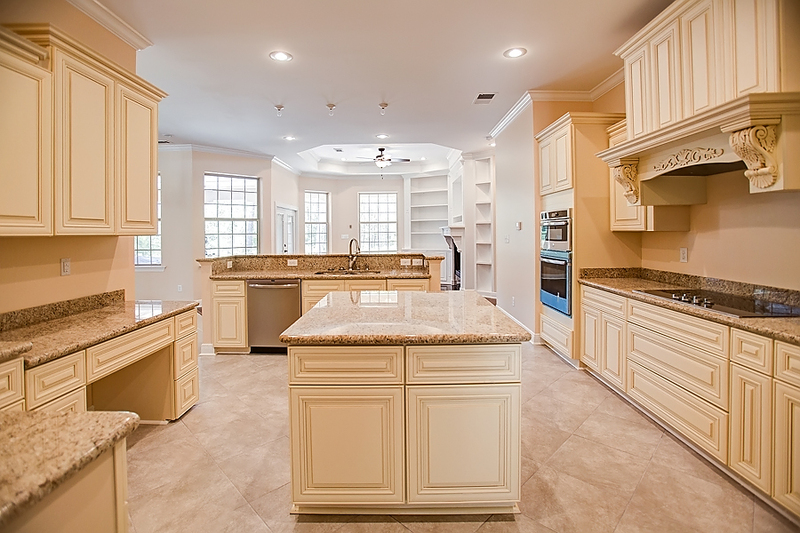 The amount of time necessary to build a home is dependent upon many things. The largest factor is the weather, especially rain, which tends to slow construction progress. Other factors include the number of changes requested by the home buyer, the degree of difficulty encountered in initiating those changes, the availability of materials and contractors. The average number of days for normal construction time varies from 120 to 180 days. 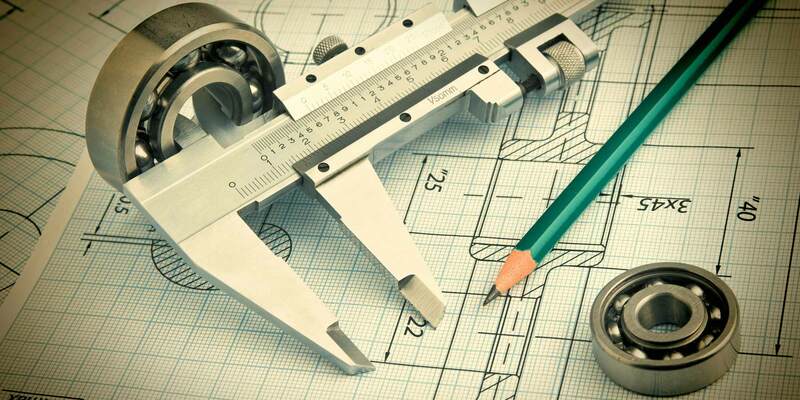 We secure any necessary local building authority approvals and permits for the home plan and home site improvements. The position of the home on the home site will be determined before clearing occurs, taking into consideration a variety of factors, including terrain, drainage, utility easements, and municipal requirements for setback and side yards. The home site, the location of utility easements, and the driveway approach will determine if your home is built as a “right” or “left” with one being the mirror image of the other. As a result of numerous technical requirements, Velvet Pines Homes assumes sole discretion for placement of the home on the lot. Home site preparation comes next. At this stage, the home site is surveyed and marked with stakes to show the final positioning of your home. The land is then cleared of trees and obstructions and the soil is prepared for the construction process. Please note that some trees may be removed to establish swales for proper drainage, and that Velvet Pines Homes reserves the right to remove existing trees from the home site, as necessary, subject to state and local laws and sound building practices. Existing trees on the lot may die as a result of construction. Even though care and consideration may be exercised on the location of the home in proximity to the existing trees, we do not accept responsibility for the life of the trees. The existence of mature trees within close proximity to the foundation could potentially cause future foundation problems. This may be of particular concern if you have requested that we do not remove certain trees in close proximity to the home. If you are purchasing a home prior to construction, then existing trees (other than those removed due to the placement of the foundation) may be removed only if requested by signing a Change Order within 10 days after the date of the original Purchase Contract. In that event Velvet Pines Homes will remove the trees at Purchaser’s expense. This phase generally takes 1 to 2 weeks or longer depending on weather and soil conditions. The foundation is formed and all of the reinforcing steel cables and underground plumbing are installed by our professional craftsmen. The soil is then treated against termites by a licensed specialist, and a vapor barrier is put in place to reduce moisture from entering the finished floor from the ground. The concrete is poured and steel anchor bolts are imbedded in the concrete to complete the foundation. The grade of the lot is established. The reinforcing post tension foundation cables are stressed, tested and inspected.building codes. All of our slab foundations are post tension foundations designed by a licensed professional engineer and are inspected by a technical representative of the engineer. Post tensions are proven to be superior to monolithic foundations used in other inferior homes. Pilings are used in communities where soil conditions warrant. 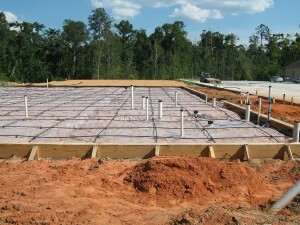 Ultimately, a structural engineer determines the best foundation system for your home. d a foundation varies depending on your inspection codes and weather conditions. For example, rain, freezing temperatures and hurricane type storms must be considered. Soil conditions, integrity of the ground, government requirements, and the size of the home need to also be taken into consideration. This phase takes 2 to 4 weeks. 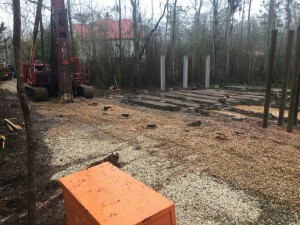 After the foundation is placed, the structure is ready for the framing process. The frame is the skeleton of your home. Velvet Pines can build your home out of many structural materials, that’s the benefit of using us. Some of the standard are, sill plates being treated to prevent termites. Double insulated thermo break windows, insulated exterior doors and fireplaces are placed in the frame. All Velvet Pines homes include fire blocking, and steel structural supports in key areas for your safety. We use treated lumber in key areas to control moisture and termites, and engineered Oriented strand Board roof decking with steel hurricane clips for maximum strength and safety. At this point Velvet Pines provides an added layer of protection to protect your home from the elements while saving you money. Your entire house is wrapped and sealed and sill plate air infiltration sealant, which protects your home against moisture and the weather, and saves energy. 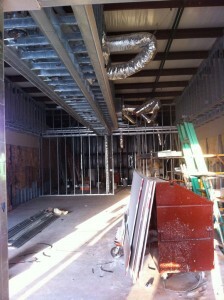 The entire framing process is normally completed within 1 to 4 weeks. If the frame is the skeleton, then the rough mechanicals are the internal organs of your home. During this 1 – 3 week phase, air-conditioning, heating, ventilation, plumbing, and electrical wiring are introduced to the structure. 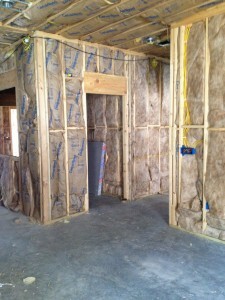 Once the items listed above are complete, the home is insulated. 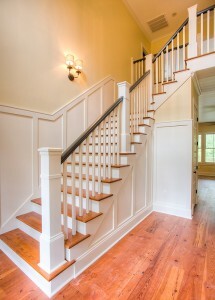 As an EPA approved energy star home builder, we take special care in applying the insulation to your home at this point. Our highly trained insulation mechanics install energy saving r-13 wall insulation and r-30 ceiling insulation, exceeding other ordinary homes, additionally we also provide another added layer of protective insulation. We seal and insulate all exterior corners, wall plates, wall penetrations, exposed plumbing supply lines, door and window frames. At this point we pre-wire your home for exterior security lights, attic lights for your convenience, ceiling fans, high speed cable and DSL internet lines, smoke detectors for your safety, fresh air bathroom ventilation; then we install a large 52 gallon energy miser hot water heater to save you money, ice maker kit, exterior water connections, and washer dryer connections. If you’ve opted for any special security systems, central vacuum, or pre-wiring for your stereo and entertainment centers, installation takes place at this point. Typically, you’ll be invited down to the site for a “frame walk” or orientation to verify that all the options you selected are in place. This is the midway point of the building process. The finish is the skin of your home, including drywall, stucco, roofing, siding, bricks, concrete walls, the driveway, and all major interior and exterior surfaces. You’ll be invited down for another inspection. All of these finishing touches really help your house start to look like home. Countertops and cabinets are installed, the interior doors and trim are installed, the house is painted, the energy efficient air conditioning system is completed, and the wire shelving system is installed. 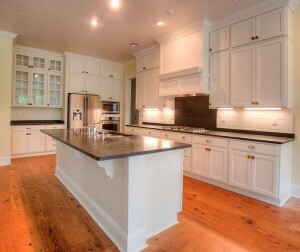 Tile is laid in the kitchen and bath, and any additional plumbing and electrical projects come to completion. This phase lasts 2 to 5 weeks. All the browsing you did with the designers and suppliers starts to payoff. During this two-week phase, you will begin to recognize the home you designed and imagine the future you’ll create. The team installs faucets and sinks, light switches, towel bars, doorknobs and all of the small hardware you’ll be using on a daily basis. This phase lasts 2 to 4 weeks. Workers wait until this final week to install the flooring in the interest of protecting your carpets and hardwood from boots, nails and dust. Any minor adjustments take place now, like window screens, drywall and paint touch ups. The house is given a thorough cleaning and is ready for the final orientation. This phase lasts 1 to 2 weeks. After weeks of hard work and patience, it’s time to do the final walk through. You gather with us to inspect your new home. At this point you should be ready to sign the closing papers and get to slide that shiny new key onto your chain.